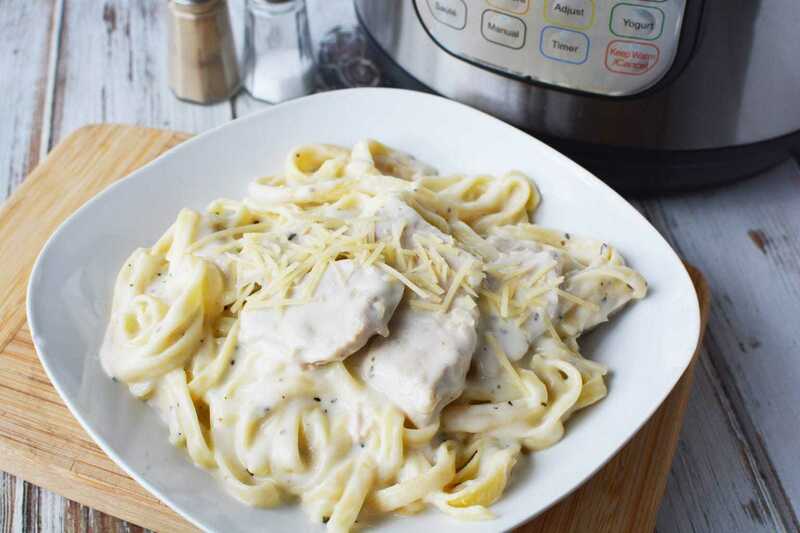 If you’ve been looking for a noodle dish that’s crazy delicious and super yummy, this Instant Pot Chicken Fettuccine Alfredo is what you’ve been waiting for! In fact, it’s so simple that you’ll wonder where this simple chicken recipe has been your whole life! There are few comfort foods better than noodles. 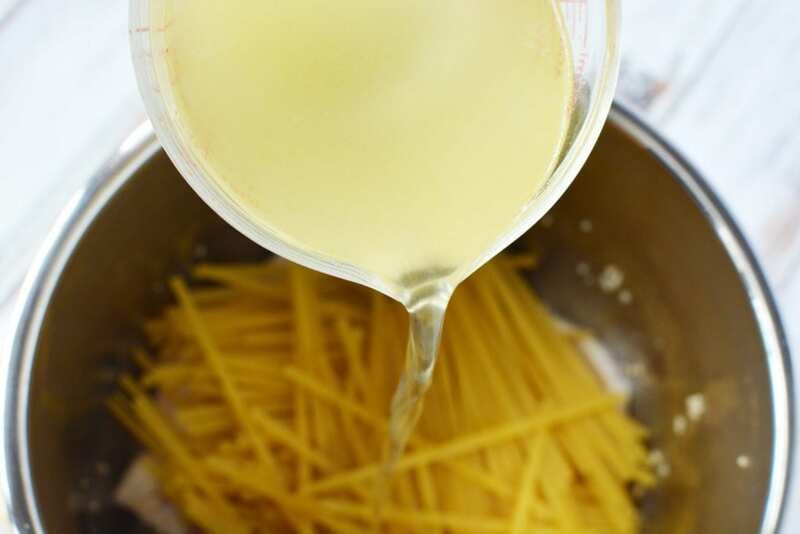 While you can choose a variety of shapes and sizes to cook with, fettuccine pasta is always a good choice because of the thickness and consistency that holds up during the cooking process. It never fails seems to fail that family life is very…busy. As a parent, you want to make certain that you’re going to all the games, practices, recitals and everything else going on in the lives of your children but you also know the importance of cooking up a dinner that gives them energy for everything as well. 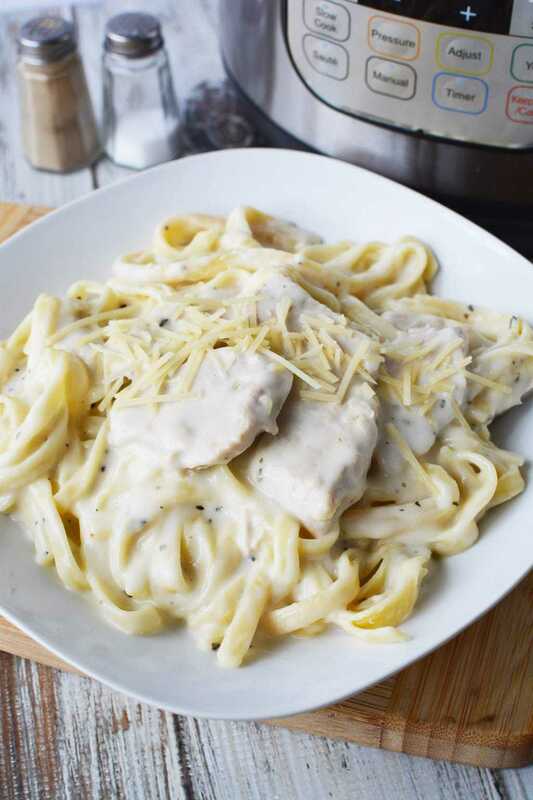 This is where this Instant Pot Chicken Fettuccine Alfredo recipe comes into play! 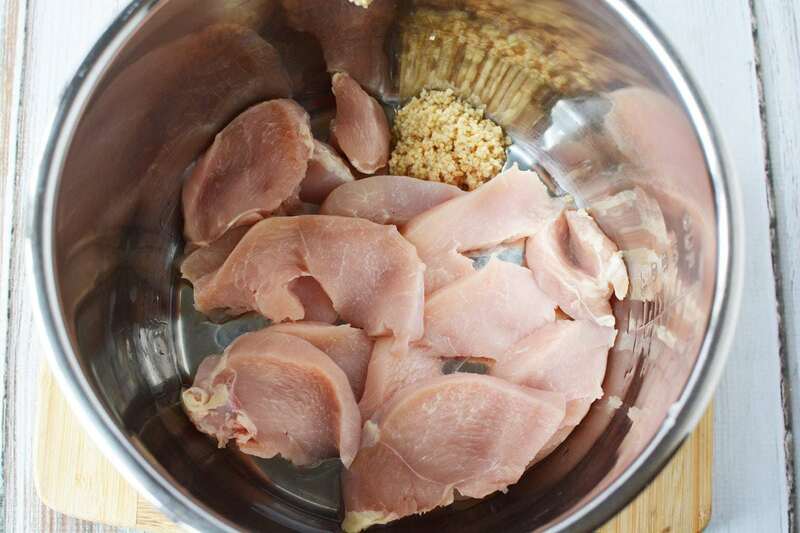 Can you cook raw chicken in your Pressure Cooker? Yes! The Instant Pot has a sautee option that will cook up your uncooked chicken in a jiffy! Is there nothing that the Instant Pot can’t do? Seriously! Just remember that when you are cooking chicken to make certain that it’s cooked entirely and thoroughly each and every time! 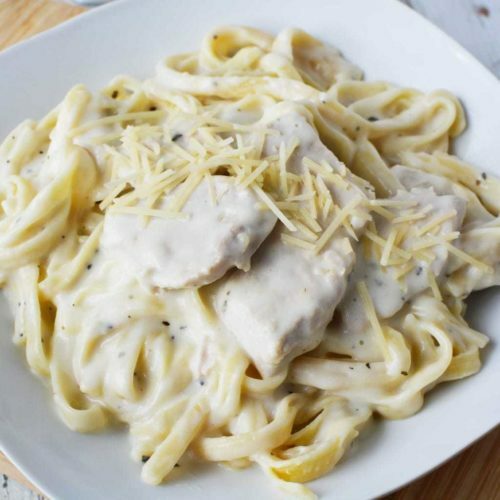 How long do the noodles take to cook in this IP Chicken Fettuccine Alfredo recipe? That’s the great part about using the Instant Pot. 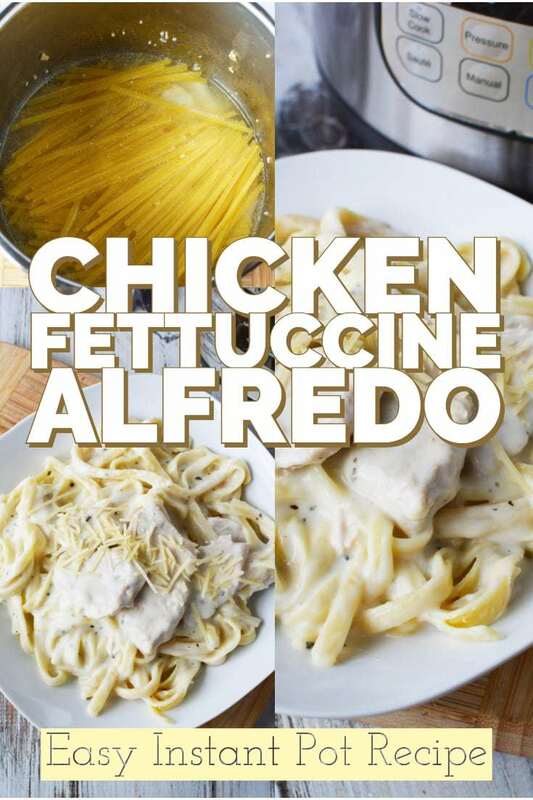 The cook time is cut down dramatically for almost every step of this fettuccine alfredo recipe! Once you add your noodles, you’ll be plating and letting it cool in less than 10 minutes. 10 minutes! No more standing over the stove and waiting for the water to boil so that you can add in your noodles….to then just stand and stir. That step is no more with this simple Instant Pot recipe! Just add the noodles, shut and walk away! When your return moments later, your chicken dinner recipe will be cooked and waiting. 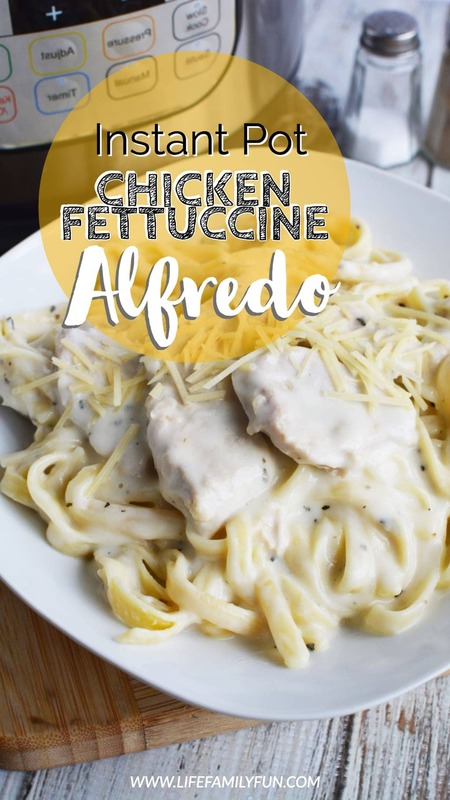 Now that I’ve told you how crazy simple and delicious this Instant Pot Chicken Fettuccine Alfredo recipe is, it’s time for you to make and taste it for yourself! Place chicken, garlic, and oil into the instant pot. 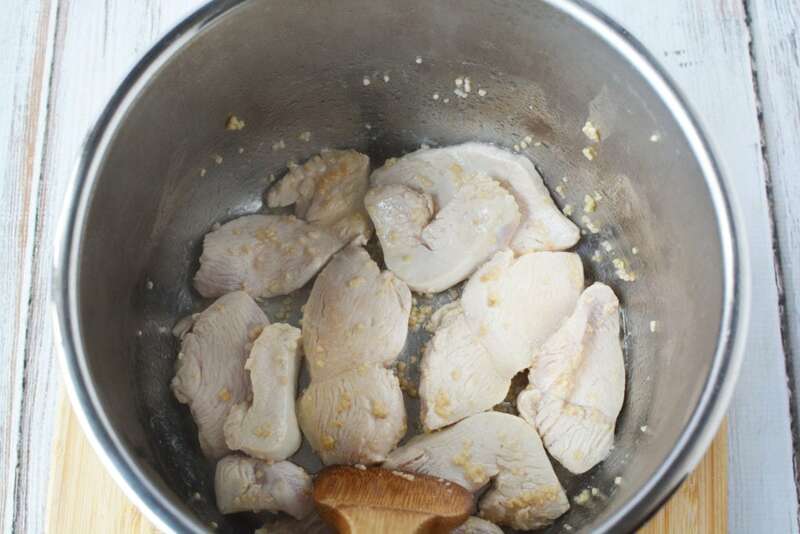 Sautee until chicken is browned on both sides. Add pasta and chicken broth, making sure pasta , with broth. Place the lid on the instant pot and seal shut. Close the pressure release valve. Set the instant pot to manual, high pressure for 8 minutes. 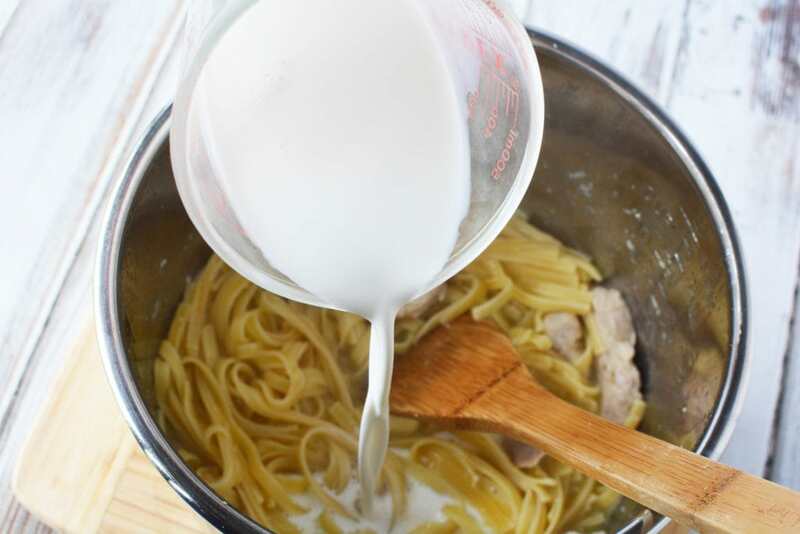 Separate pasta with a spoon. Pour in half and half, shredded cheese and basil. Mix well. Stir in corn starch and water mixture. Press sautee on the pot and heat until thick, stirring frequently. Remove from pot when the sauce is thick.